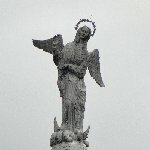 At the end of an incredible journey through Ecuador my partner and I were in for a real treat, our last three weeks in capital city Quito and the Galapagos Islands to top the travel experience. 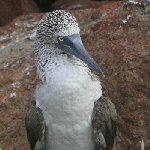 After our stay in Quito we took our 2,5 hour flight with Aerogal Aerolíneas Galapagos and landed safely on Baltra Island, or South Seymour, one of the smaller islands of the Galapagos Islands. After the overwhelming impressions of Quito it was amazing to experience the calmness and the beauty of the islands and enjoy the wildlife. After our guide picked us up from the airport we checked in at the Finch Bay Hotel on Santa Cruz Island after the transfer. The upcoming days were amazing and we did all kinds of incredible things. 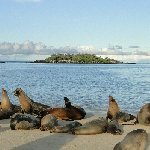 We had our pictures taken with the island seals and saw spotted turtles on a kayak trip. 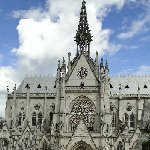 This really is the gem of Ecuador! 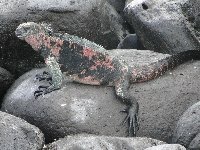 Did you enjoy Quito to Galapagos flight and have you been on a holiday in Galapagos, Ecuador?